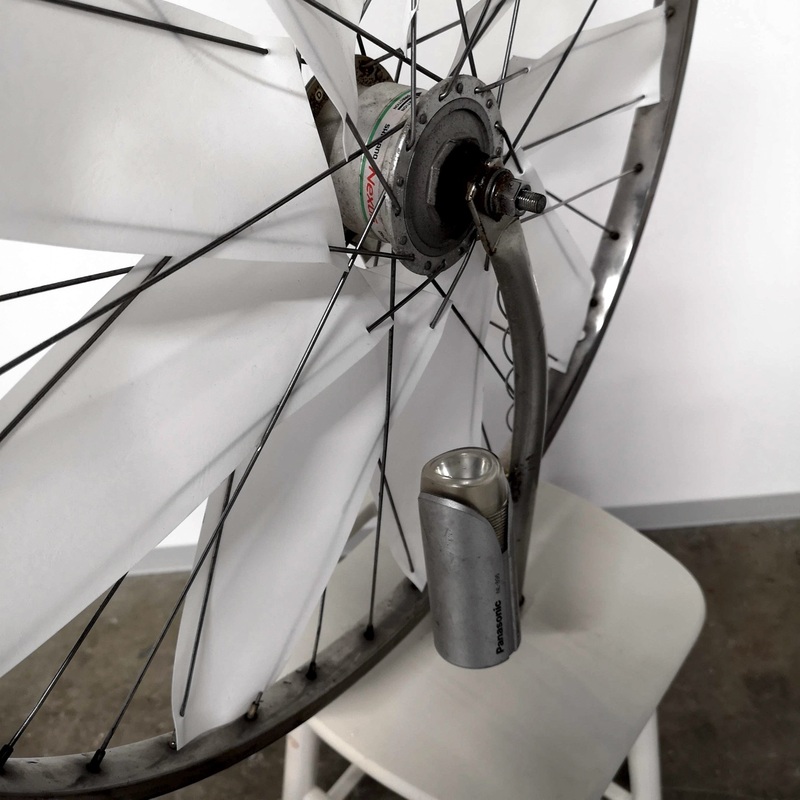 “Re-cycling Wheel/Roue de re-cyclage” (2018) is a developed remake of Marcel Duchamp’s “Bicycle Wheel” (1913), and was produced based on the assumption that it will be installed outdoors. 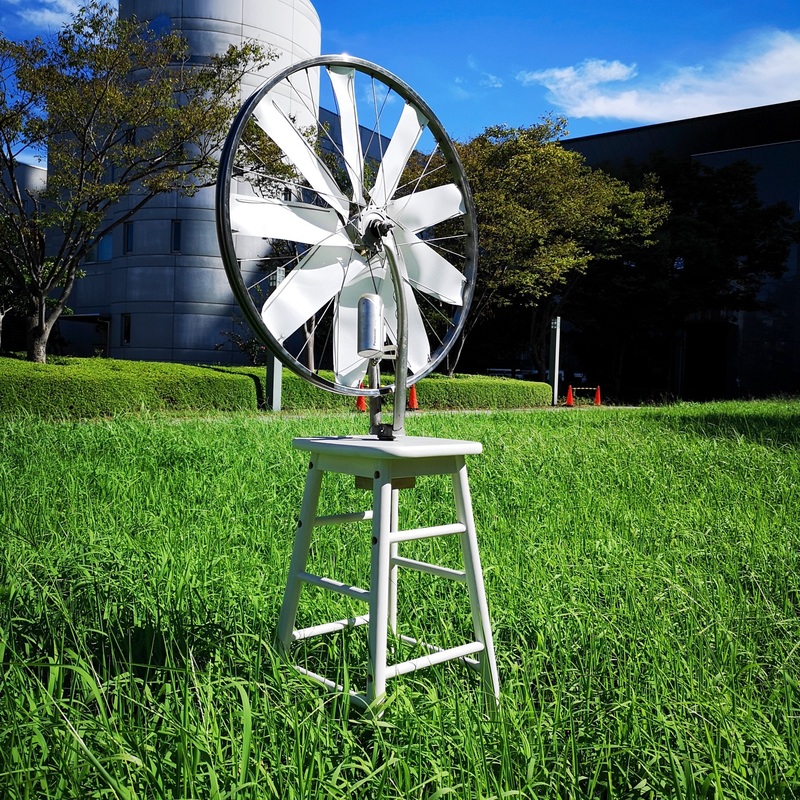 It is the same as the work by Duchamp, in that the front wheel of a bicycle has been attached to a wooden stool, the only difference being the resin inserted between the spokes. This bicycle had already been used for several decades, then abandoned for a long time. Its body was covered with dirt and rust, and the saddle was split. While I was fixing the flat tires and bent spokes, I was surprised to find that the wheels could still turn. 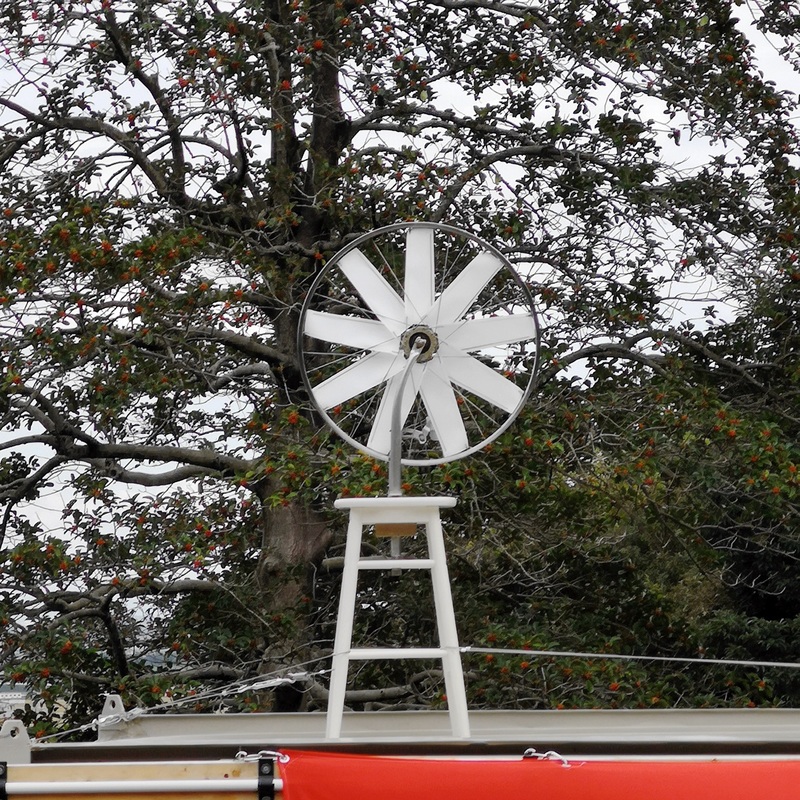 The dynamo attached to the hub of this old shopping bicycle began to generate electricity, and the lamp lit up. At that moment, an idea flashed into my mind. 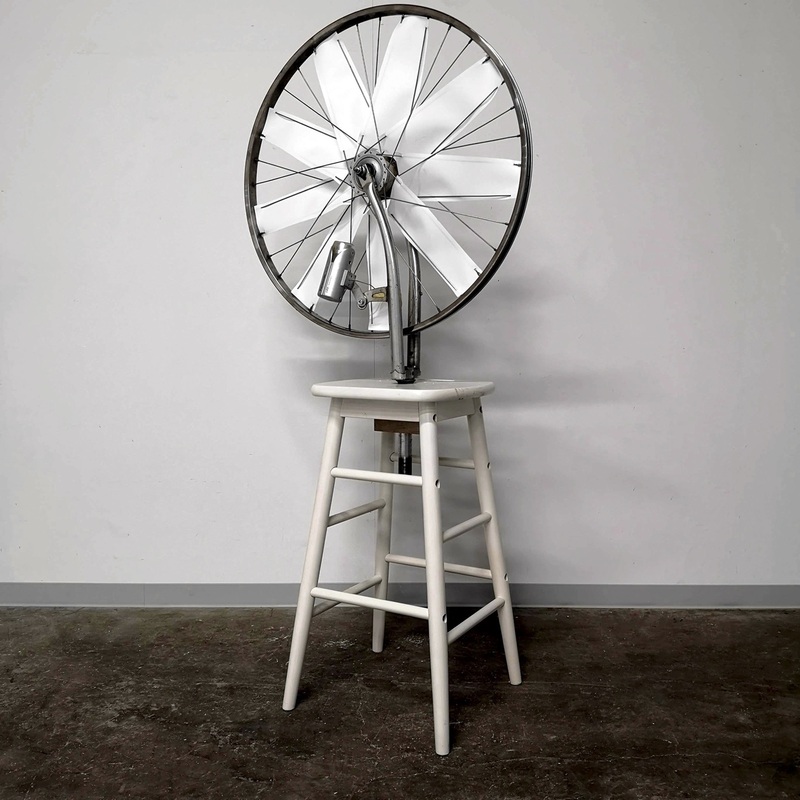 This is a work that is assembled from trash, and receives light from nature.